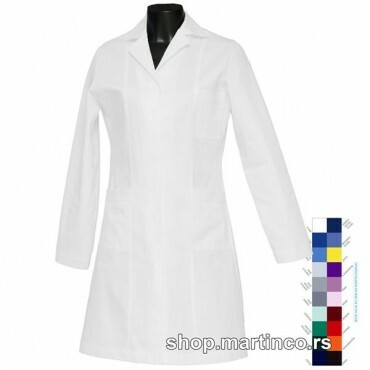 Men's coat with Russian collar, snap buttoning and two lower pockets. 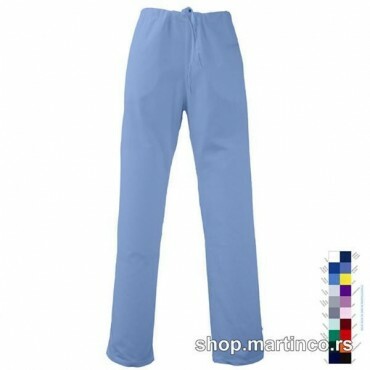 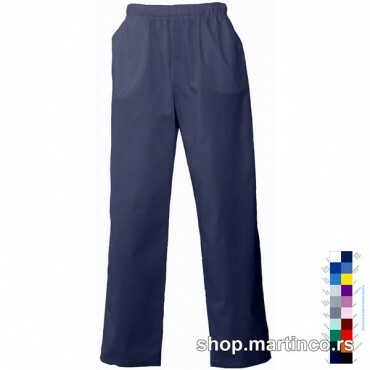 Women's scrub pants with rubber band at the back of the pants, a belt and two front pockets. 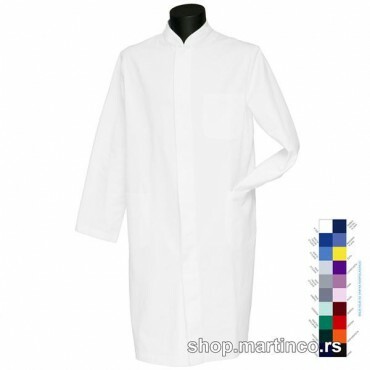 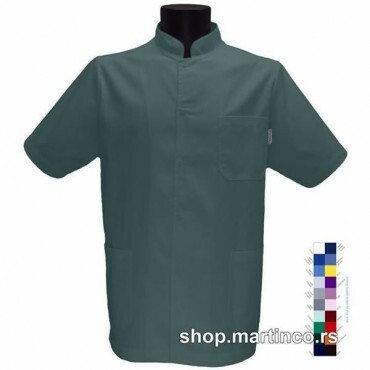 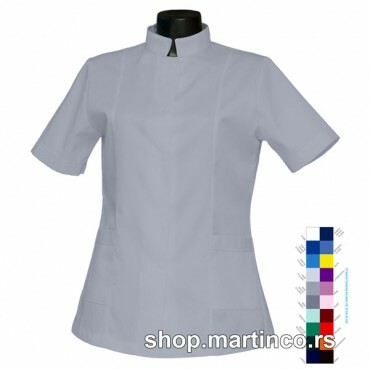 Women's scrub top with Russian collar, snap buttoning and two lower pockets.